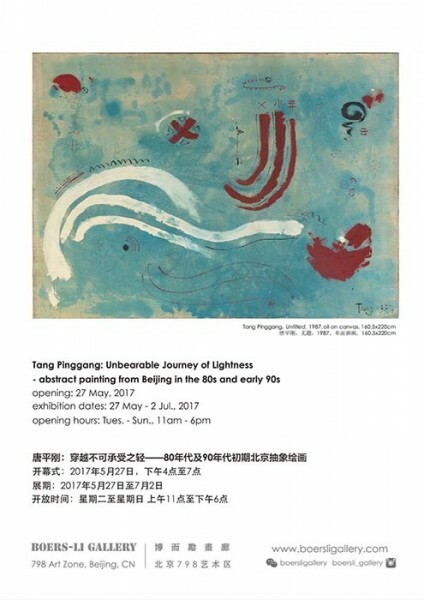 Boers-Li Gallery is pleased to announce the opening of the solo exhibition, “Tang Pinggang – Unbearable Journey of Lightness” on May 27, 2017. 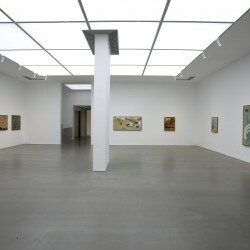 His first posthumous exhibition featuring the artist’s oeuvre of a lifetime highlights his abstract paintings of the 1980s-1990s, by which to illuminate Tang Pinggang’s foregrounding efforts in visualizing the subconscious, as the field of Chinese contemporary art searched for a burgeoning modernity. 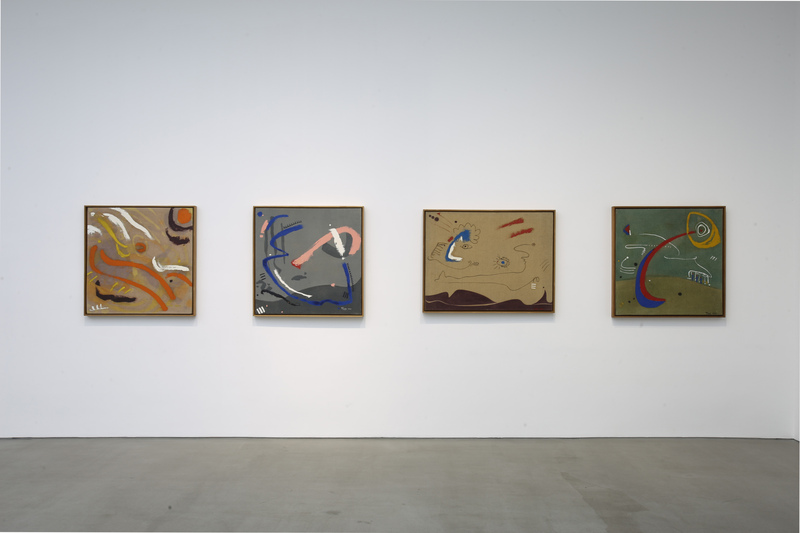 The show presents Tang Pinggang as an inspired and gifted artist who developed a distinctive personal vocabulary that he perfected in a time only a few artists were experimenting with the art form of abstraction in Beijing. Tang Pinggang (1955-2014) was an independent artist, a music a ficionado and a prolific writer. 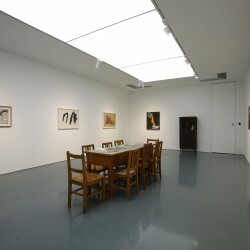 In spite of his close friendship throughout most of the 1970s with artist from the No Name Group (Wuminghuahui) and his brief encounter with the Stars Group (XingxingHuahui) at the wake of the first Star Art Exhibition in 1979, his affiliation with any established collective was kept lose. For most of the 1970s, like many of the No Name artists, Tang Pinggang painted the landscape, still life and portraits, taking on a defiant position against the ubiquity of visual dominance during the Cultural Revolution. By the early 1980s, Tang was fully engaged on the experimentation with abstraction, one that he continued to explore until the end of his life. 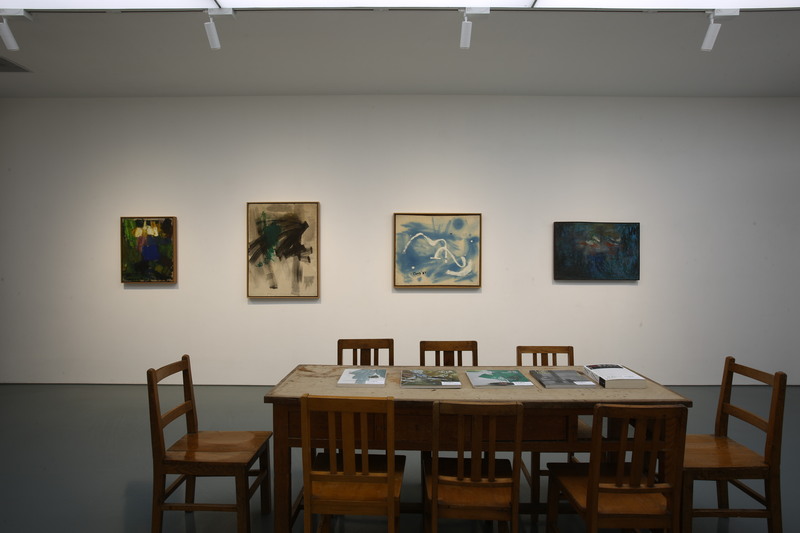 With like-minded artists Zhang Wei, Zhu Jinshi, and Ma Kelu among others, his exchange, discussion and experimentation on abstraction in the 1980s marked the most prolific period of his artistic practice. Tang Pingguang’s experimentation with abstraction remained unhinged, amid the “85 New Wave Art Movement” and the chilling incident at Tian’anmen Square in 1989. With many of his contemporaries who sought for new possibilities overseas, Tang Pinggang’s art practice began to lose momentum. 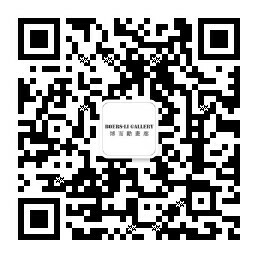 He relocated to the Yuanmingyuan Artists Village in the 1990s where he continued to paint. In between, he played a small role as an artist in Zhang Yuan’s film Beijing Bastards, a caricature of his own living status, being on the periphery, yet refusing to conform to social norms. 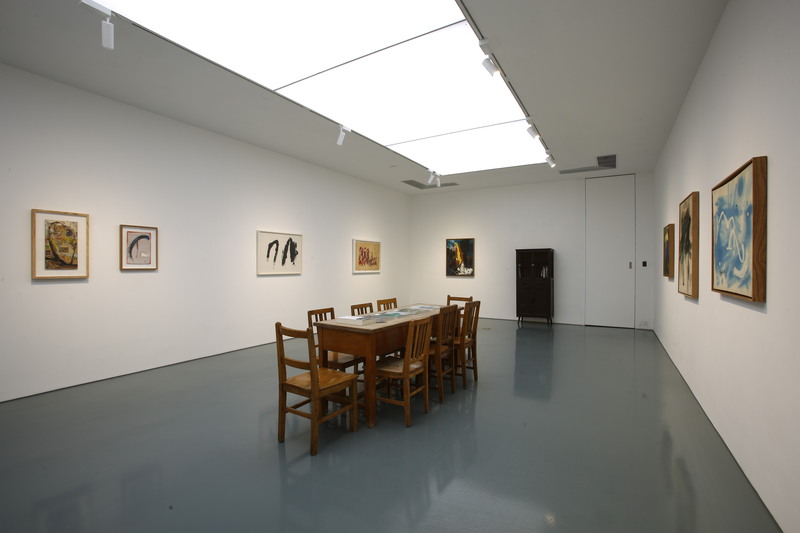 During the 1980s, his interest in literature provided the artist a different medium to channel his subconscious. In particular, his 1985 publication of a short story, “Black Journey” on ReminWenxue (People’s Literature), in which the narrative follows the protagonist’s stream of consciousness as he waited for surgery while being hospitalized. The story is rhythmically divided by interludes of analysis on the semantics of colors in relation to the protagonist ongoing reality. Tang Pinggang was one of the earliest artists who made the contentious claim of using solely colors as his means of artistic expression in the 1970s, a time when the remnant of Soviet art pedagogy still dominated the mentality of artistic production. Art making served the single utilitarian purpose of conveying policies, in other words, artistic production nullified the presence of one’s subjectivity. 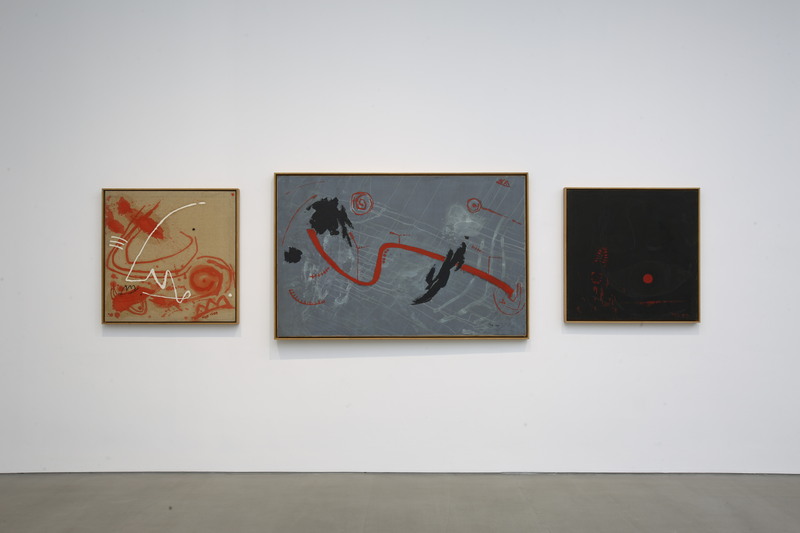 Recalcitrant of the official rhetoric that typically asked the questions of “what” and “why” to a work of art, Tang Pinggang contested such indoctrination by steering into the non-figurative. In 1979, before he had any access to publications of foreign art catalogues, he produced his first abstract painting. As the artist recalls, “It seemed that I didn’t paint anything, yet the canvas was filled…when I painted this work, I had no idea it constitutes as an abstract painting.” In other words, for Tang Pinggang, the practice of painting became a metaphysical experience, by which the artist aims to resonate with his viewers through the transcendence of the real. 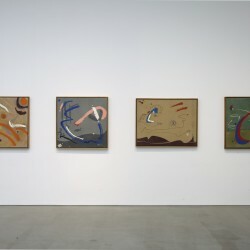 As we unearth this body of work, these imageries remind us of the works of Joan Miro, Wassily Kandinsky and many other early modernist forerunners. 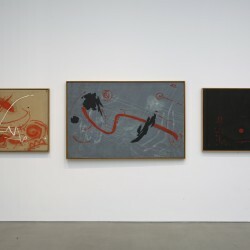 Yet, the visual cues on canvas compel its viewers to ask, “What makes Tang Pinggang’s paintings unique?” Beyond the crypticpictorial signs, the surrealist appeal, the gesticulations, techniques such as spray painting, collage, his works drew its visual sources from traditional Chinese paintings. It may have engaged the notions of Chinese cosmology, the unfolding transformation of socio-economic conditions in China, lyrical parallels with music, as well as translations of one’s personal experiences. By mapping out the semiotics, we hope to illuminate a subconscious that bears witness to the internal and external transformation of a time. 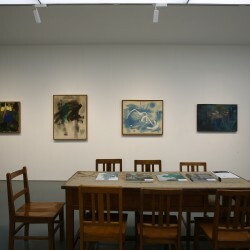 Devoting his lifetime to the practice of abstraction, an aesthetic statement that went much unrecognized throughout his life time, Tang Pinggang’s unwavering attitude towards this art form and his conviction to lead a life of his own choice paved the way for a burgeoning desire to define one’s identity. 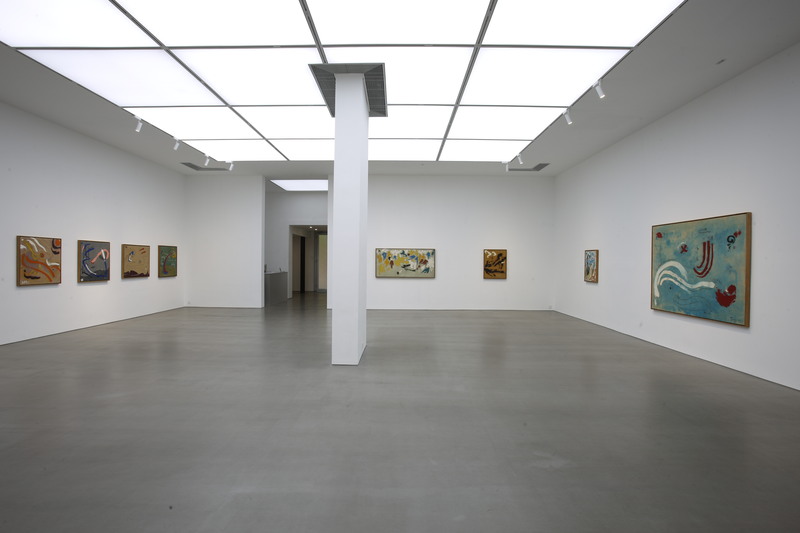 In the same vein with the gallery’s commitment to uncover “un-officials” of the Pre-85 period, we present Tang Pinggang’s legacy as a case study that will continue to illuminate a period of artistic practice that was largely undervalued and unacknowledged in the discourse of Chinese contemporary art.